Mike Adams is no stranger to traditional Western medicine. The son of a Pfizer contractor and a clinical trial tester for some of America's biggest pharmaceutical companies, Mike grew up using prescribed pharmaceuticals, trusting doctors and believing what the FDA reported was safe and in the best interests of the country. All that would change when Mike was faced with his own personal health emergency, and the pillars of medicine he once trusted came crumbling down before him. 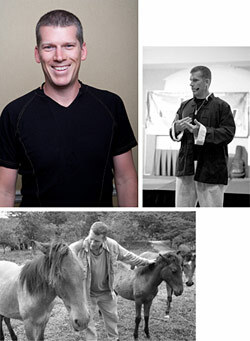 Mike began his mission as the Health Ranger as a response to his own failing health. At the age of 30, he was diagnosed with type 2 diabetes, a disease brought on by poor diet and severe lack of exercise. As a high-powered software executive, extreme levels of stress and cholesterol, depression and chronic back pain were common features of Mike's past. Searching for answers to his health woes, Mike dove into research; he devoured thousands of books on nutrition, pharmaceutical drugs, wellness programs, the politics of food -- anything he could find. And that's exactly what Mike did. He cured himself of diabetes in a matter of months and transformed himself into the picture of perfect health in mind, body and spirit.